Foodies, if Your Heart Craves Rich, Desi Khana, You Really Need to Hit up WeDesi Flavours! Have a big party coming up? The booze is all set but the food isn't? Fret not, ‘cause we happened to come by just the solution! Located in East Patel Nagar, WeDesi is a delivery service doing the rounds across Delhi NCR, specialising in bulk orders. 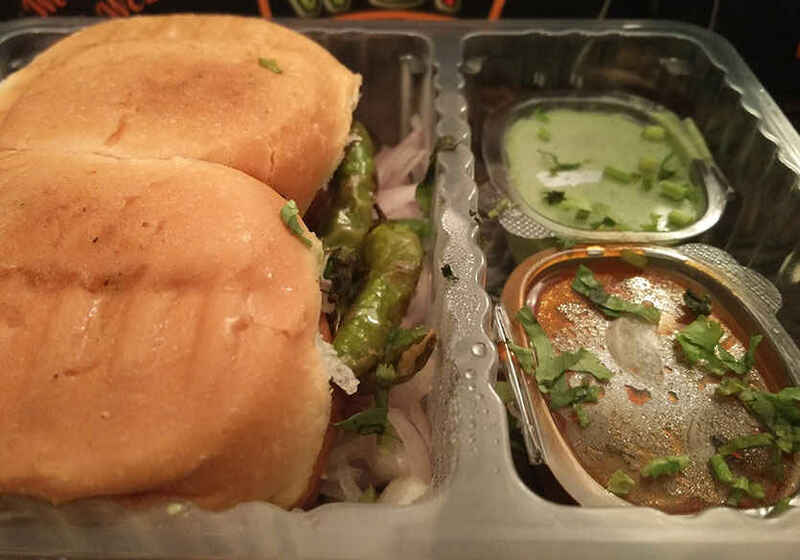 The food is served inside boxes or in a five-portion thali from a Corporate menu and a Starters menu, which you can customise according to your preference. One box/thali can go for as low as Rs. 100! Having lots of veggies and generous amounts of chicken, enjoying a good salad is always a delight. 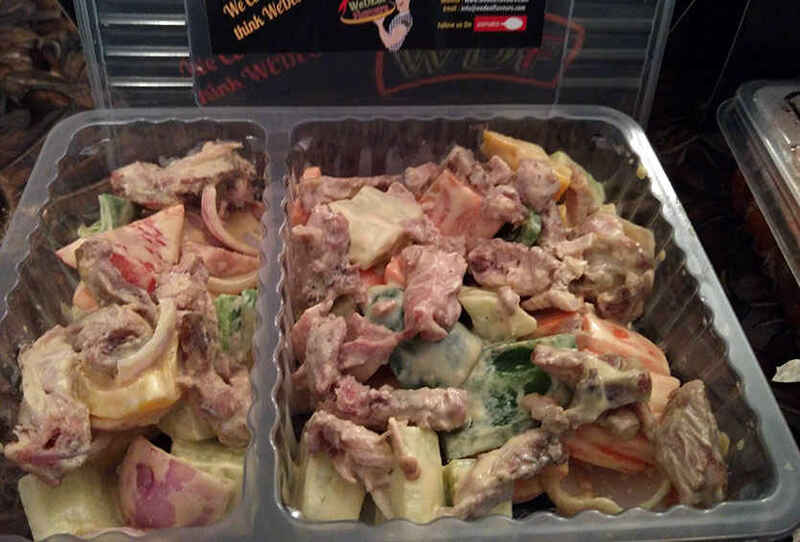 Their Greek Salad comprises cucumbers, bell peppers, tomatoes, onions, carrot and of course, lots of chicken. The dish has a lot more than what a Greek Salad usually should contain. Overall it was a light, healthy and tasteful option for all health enthusiasts! 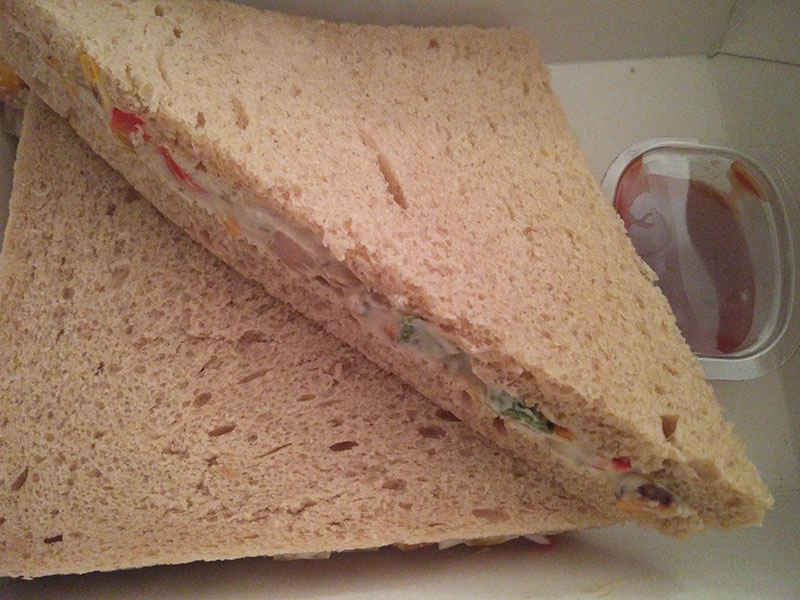 This sandwich was a lot bigger than your average sandwiches, and was made with brown bread with a filling of sweet corn and fresh, crunchy red, yellow and green bell peppers. The sandwich was not too heavy, yet was filling at the same time. Given our enormous love for street food, we were particularly excited about this one. 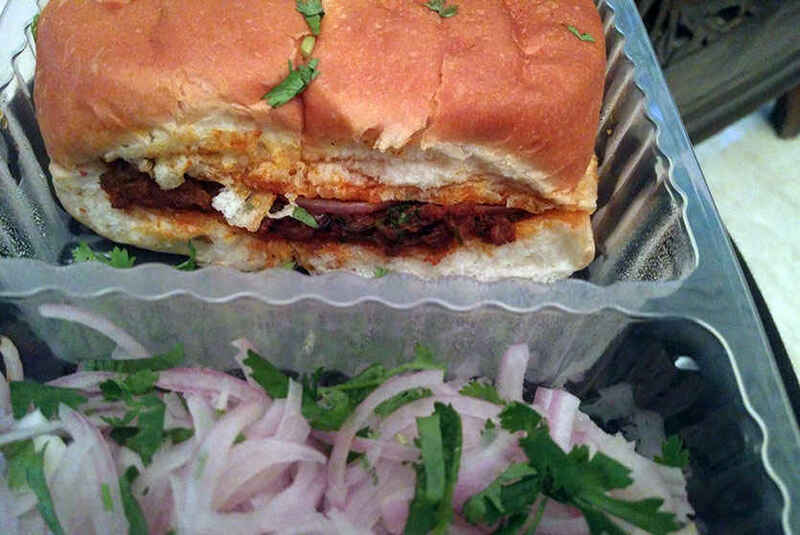 Anyone who has ever tried a vada pav in Mumbai will never forget those delicious flavours! So undoubtedly, this was what we had expected and to our delight WeDesi flavours did not disappoint! How about that! 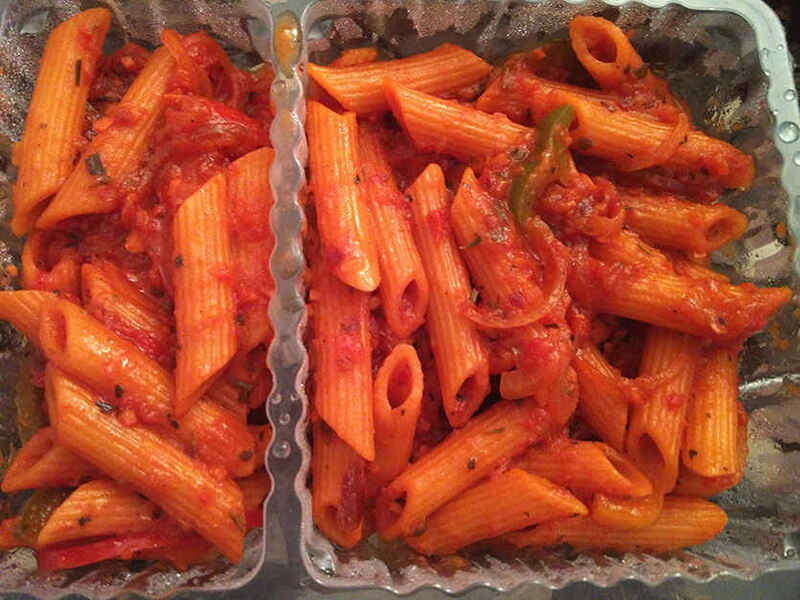 This one-of-a-kind dish was a plateful of luscious red sauce pasta with the perfect amount of tanginess! The flavours were on point, without it being too desi-fied which is what we loved most about it - definitely try this one folks! This dish too was an Indianised version of a Chicken Caesar Salad wrapped in a wheat roti and was quite unique, to say the least. A brilliant concoction of ‘Desi’ and ‘Videsi’, this one is not to be missed for those who love to experiment with their food! 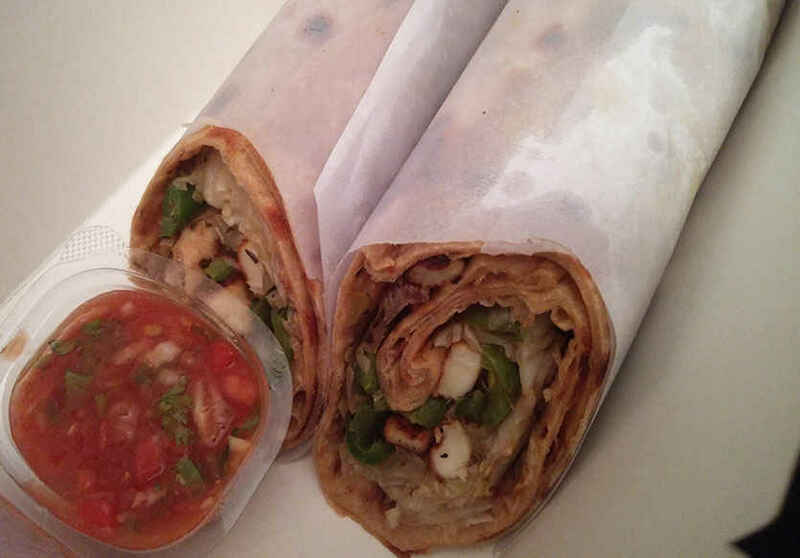 A 12-inch long wrap made entirely with whole wheat, this wrap was filled with grilled cottage cheese, lots of iceberg lettuce, and chopped-up onions served with freshly made salsa. 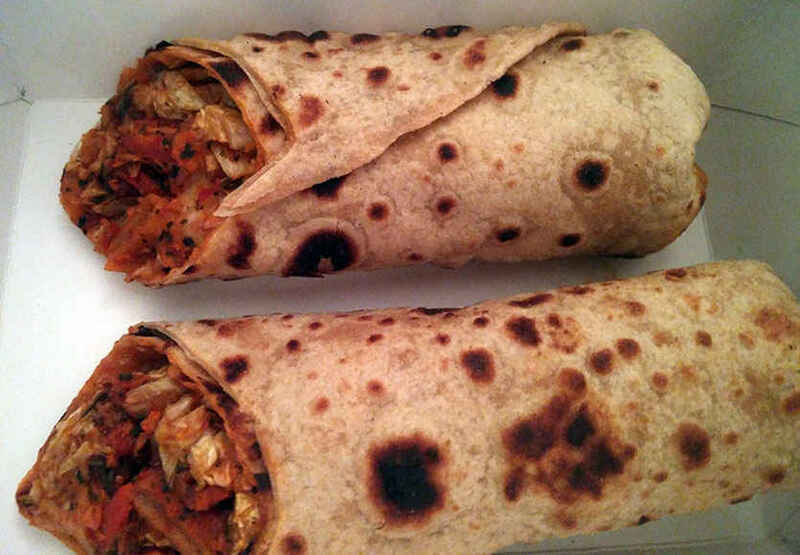 It was quite a mouthful, and the fact that it's a wheat wrap is a bonus for all the calorie conscious foodies out there! A gem from their special Bombay-chaska menu, the Keema Pav here consisted of spicy and flavourful minced chicken meat stuffed between two soft, yet crispy maska pavs accompanied with lots of juicy onions. This one is definitely a highlight and should not be missed! A good, reliable joint that offers yummy desi and Continental fare, we recommend you definitely give WeDesi a try! Do note that they do deliveries up to 6 kms from East Patel Nagar but for bulk orders they'll deliver across Delhi NCR. So if you have a big party coming up, you now know where to order from!